You can do what I'm doing and begin a Gratitude Journal. Each day write something you're grateful for. Your attitude will shift as you focus on what you appreciate. A small stone or other small token that you keep in your pocket can be used as a reminder to think about gratitude and to give thanks for the abundance in your life. This is an old idea that was mentioned in the movie "The Secret." This is a wonderful movie, by the way, which explains about how the Law of Attraction works. If you focus on what is going right, rather than on what is going wrong, you will notice that your day is more pleasant and thinks that used to annoy you are now nothing more than background noise. 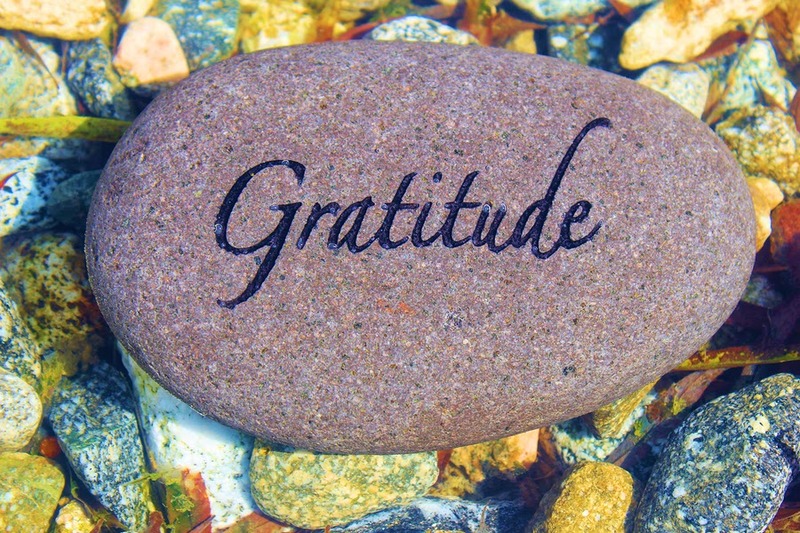 Some people have a Gratitude Partner, with whom they share their grateful thoughts for the day. I think it's a great way to start the day and it helps you keep the good feelings going. A Gratitude Partner will help you focus on the positive. Consistently focusing on what you appreciate reshapes your mind. That's powerful! The Law of Attraction is working for you whether you realize it or not. If you want to attract good things into your life, begin by developing an attitude of gratitude. Here are four ideas to get you started.